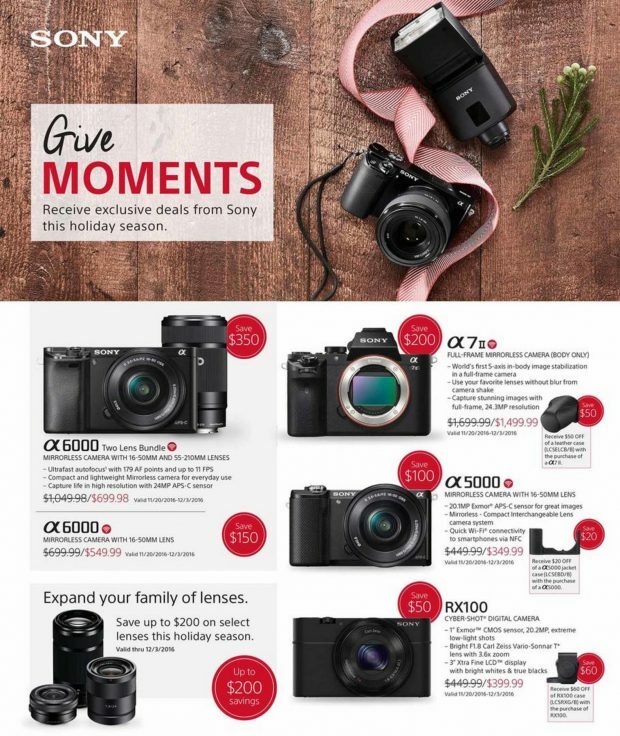 Sony has announced this year Black Friday deals for Sony gears, along with $350 off on Sony Alpha a6000 Black Friday Deals, the Sony Alpha a7 II will also get $200 off at Black Friday & Cyber Monday 2016. Deal will be live through November 20 to December 03, 2017. Previous Previous post: Leaked: Sony HXC-F80 Studio Camera is the Camera to be Announced at NAB NY ! Next Next post: Rokinon AF 35mm f/1.4 FE Lens Price $799, now Available for Pre-order !